Summer is here and we've been working on different ways to beat the heat and enjoy the abundance of fruit that's available in the stores and farmers markets right now. We decided to do our own "adult" frozen treat, but they are just as good if you leave out the alcohol. 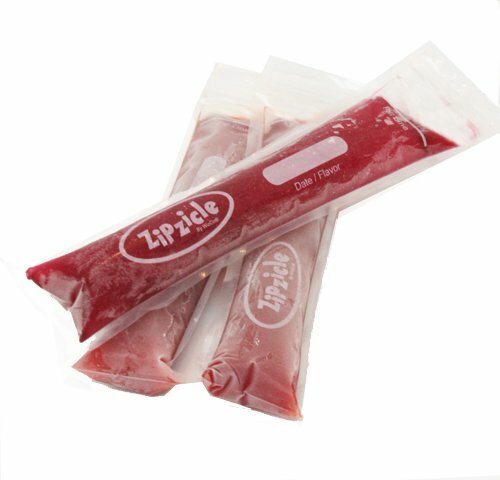 We tried using various frozen pop molds, but these Zipzicles are our favorites. They keep mess to a minimum, and make it easy just to fill these and pop them into your freezer. I'm going to share a few recipes, but here's one of the first I'm happy with that's ready to share. Put all ingredients into a blender, and pulse until smooth. Using a funnel, pour mixture into molds or Zipzicle forms and freeze until solid. Enjoy!